Aluminum can crushers are a great addition to any kitchen because they allow you to recycle your aluminum cans and that way save space in your apartment or house while still keeping up with recycling and greener living. 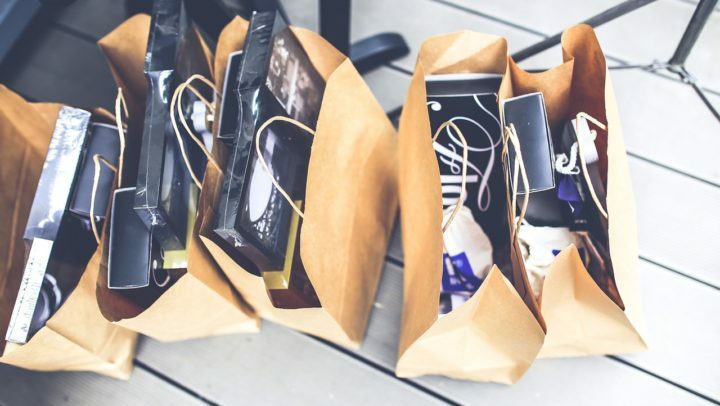 And because many of these devices called can crushers are cheap, you won’t have to break your bank to be able to treat the environment better by recycling your cans. 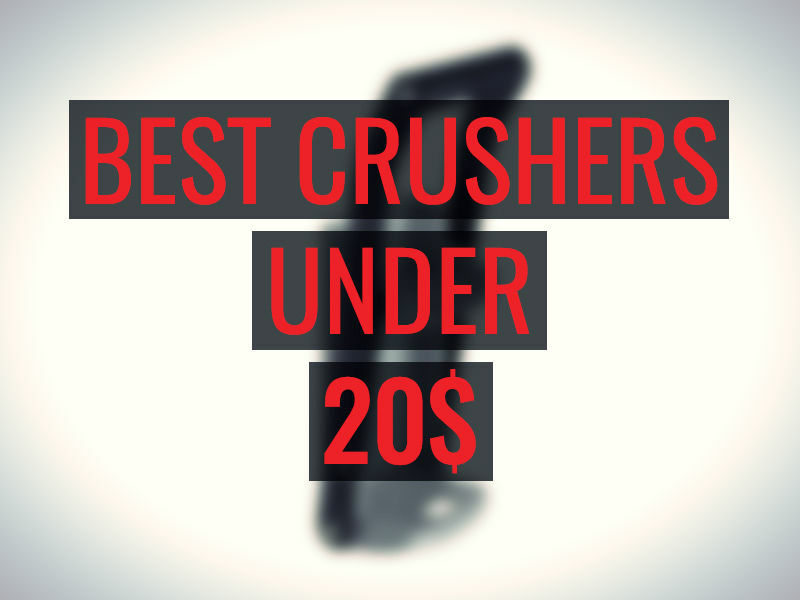 So here I compiled a list of five the best can crushers that cost under 20 dollars, so you can go out and buy your crusher even if you are living on a budget. 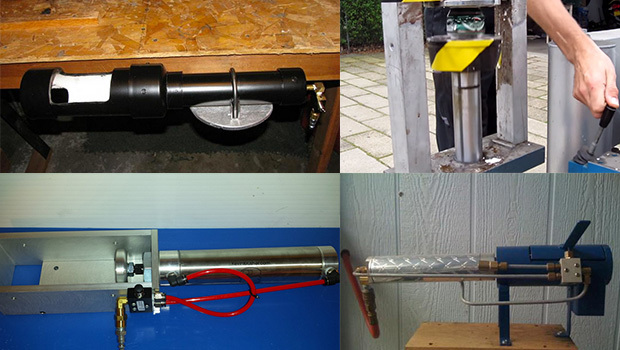 Another inexpensive can crusher is this Easy Crush can crusher that is manufactured by Pacific Precision Metals that specializes in creating different objects and devices from top grade metals in U.S. as well as Mexico. 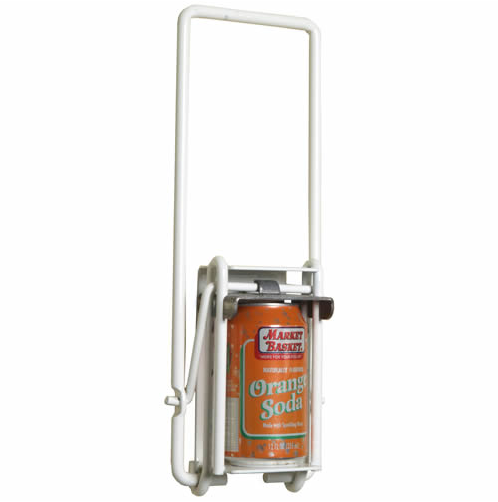 This can crusher again is a vertical crusher that will crush any aluminum can that is up to 12 ounces in its size. 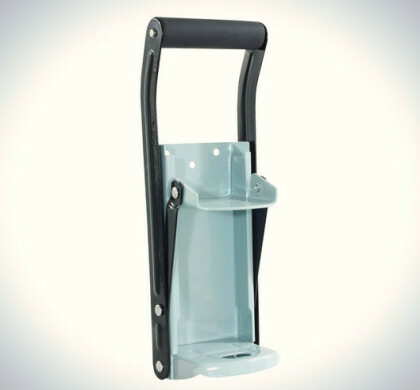 Because of its rounded yet basic design that is made out of high grade steel this can crusher is durable yet offers a simple and a little bit industrial feel so it will fit well into most interiors and won’t be fragile or cheap looking like some of the other similar crushers are. And the 15.4 by 5.7 by 3.3 inch dimensions make it small and easy to store when not needed. To use this crusher all you need to do is place any 12 oz aluminum can in the crusher and pull down the handle of the crusher. It will automatically crush the can and make it from 12 oz size to less than an inch in its size. The only down side to this crusher is that it doesn’t have a padded handle meaning that there won’t be any additional comfort when you crush your cans, but because its design is so basic, the padding really isn’t that crucial and is just and extra thing some crusher manufacturers put into their devices. One of the sturdiest can crusher constructions on the market. Because of the design, cans might get stuck into the crusher from time to time, but can be easily taken out with the help of a screwdriver. 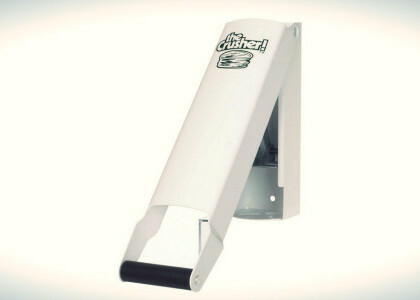 The first crusher that you can purchase under 20 bucks is this can crusher made by company called Valley which is a tool manufacturer based in California. 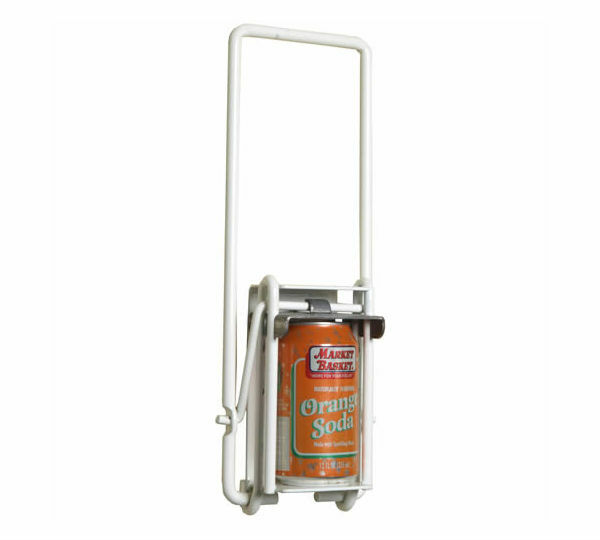 This particular can crusher although isn’t sophisticated in its design will do a great job at crushing any cans up to 16 ounces in size, so saving you from having to store full size cans for recycling. This metallic gray can crusher is a vertically shaped crusher that is very simple in its design and therefore also very simple to use. 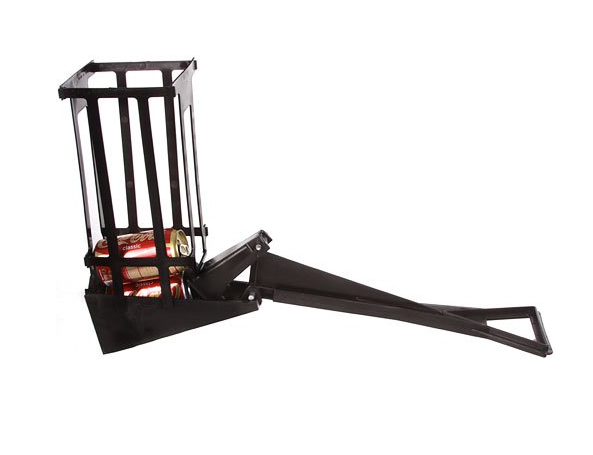 With it you can crush any empty aluminum cans from beer to soda to food cans by simply putting the can into the crusher and pulling down the lever that is padded with soft rubber for easier and more comfortable grip. 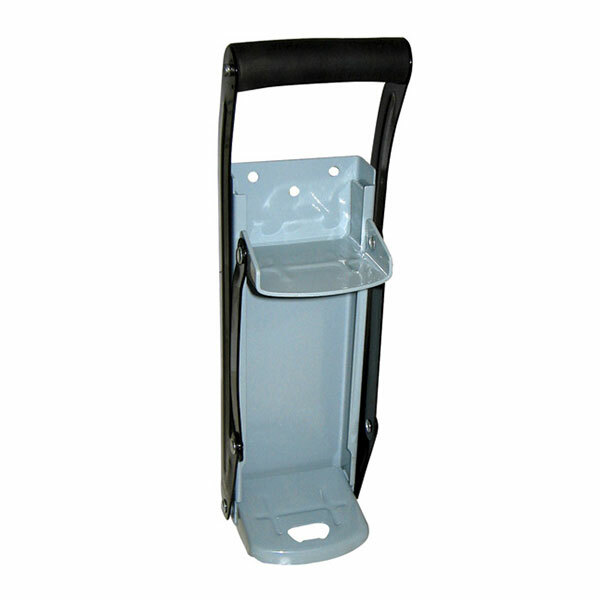 Because the crusher is made out of heavy duty steel that is powder coated, it can be used indoors or outside. And with its compact design of 21.25 by 4.75 by 3.2 inches, it will fit well in your kitchen, garage or even on your patio. 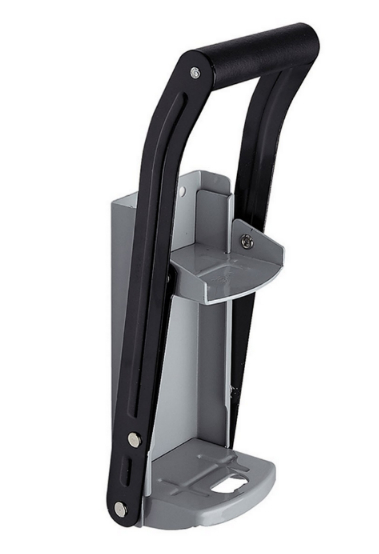 Mount it to any flat surface in vertical orientation and start crushing. 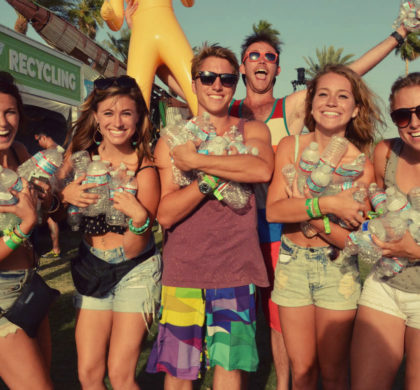 Crushes cans up to 16 oz in size. The powder coated protective finish can start to chip quickly if used outdoors. If you want a crusher that can hold multiple cans and has an automatic dispensing system while still fitting into the under 20 dollars price range, this vertical crusher by Can Ram might be what you are looking for. Like I said this can crusher is a bit fancier than the previous ones, because it has an automatic dispensing system meaning that you won’t have to touch the can once it is crushed and risk cutting yourself, but it will automatically fall out of the crusher and into a bin that needs to be placed under the crusher. On top of that this crusher also has a multiple can storage, so you won’t have to store your uncrushed cans on a shelf or in some bin, but will be able to empty 10 cans before you need to crush them to free the space for new cans. Yet it still is small enough so that it won’t take a lot of space on your wall – its dimensions are 23.3 by 16 by 18.9 inches. 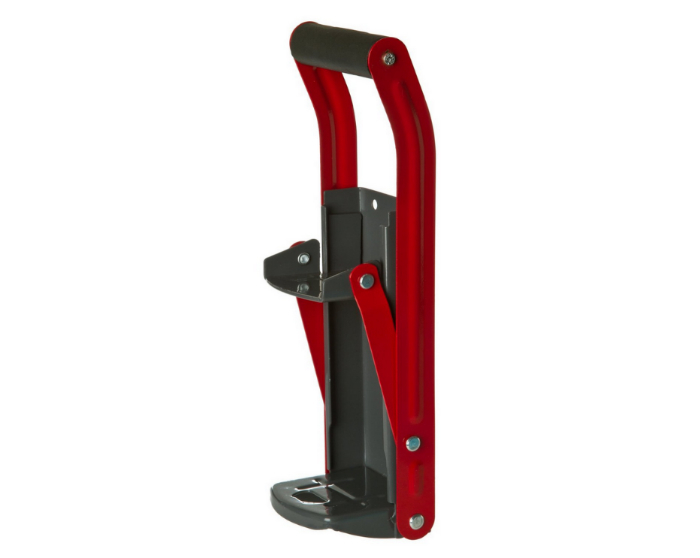 This can crusher is made out of black nylon plastic, meaning that although it might be less durable than steel crushers, it will still be rust proof and sturdy enough, so you can use it indoors or outside. The way this crusher works is you place cans into the can holder and then once you are ready to crush them just pull up the leaver until all the cans are crushed. And even if the fact that the handle need to be pulled up instead of down is an inconvenience and a down side to this crusher, it still does the job and crushes any aluminum cans that is up to 16 ounces in size to a small 2 to 1 inch circle. Good if you need to quickly crush large number of cans. 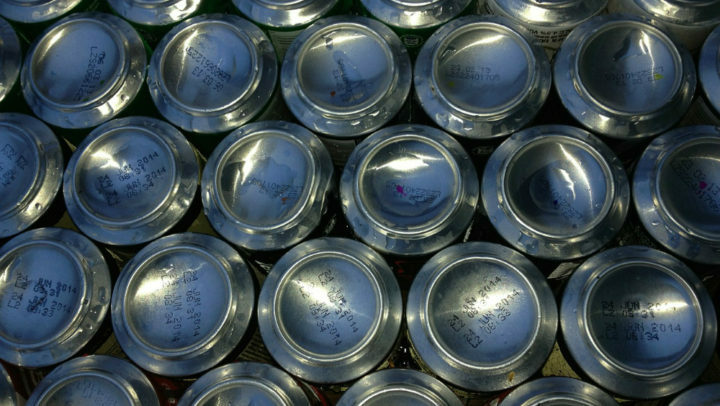 Cans sometimes get stuck into the automatic dispensing mechanism and need to be removed manually. If you want a crusher that grabs attention while still does a great job at helping you recycling aluminum cans then you should consider this can crusher from manufacturer called Progressive International, where in their Prepworks brand line they feature the most essential tools to any kitchen. 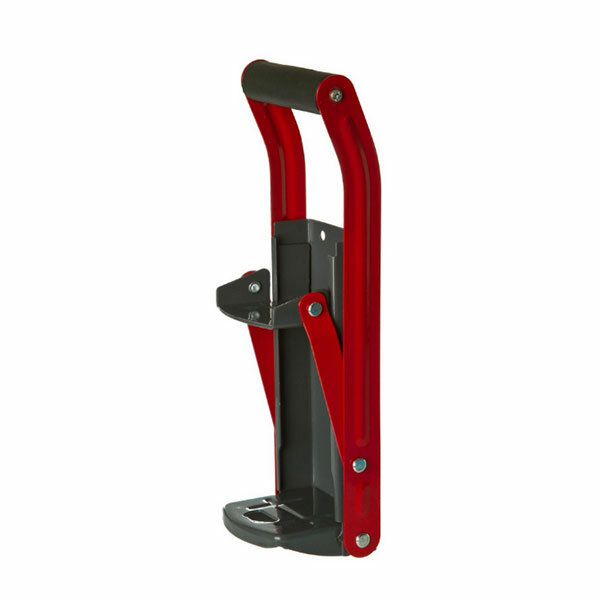 This can crusher is made out of steel and comes in a red and metallic grey colors, which makes it not only stand out but look great in any interior from your kitchen to garden shed, without taking up a lot of space, because of the compact size of 12.5 by 4.2 by 3.2 inches. Although it doesn’t have extras like automatic can dispensing and it cannot hold multiple cans, meaning you will need to store them elsewhere, doesn’t take away from the fact that working with this vertical can crusher is extremely easy. All you need to do is to take a can that is 12 ounces or smaller in size, because this crusher isn’t able to crush larger aluminum cans, place it into the crusher and pull down the long and comfortably padded soft grip handle. The crusher will do the rest and crush your cans to only 1 inch in size that you can easily collect and later recycle properly. Has soft grip material padded handle, making it comfortable to use. Better to pinch cans in the middle before crushing to prolong the lifetime of the crusher. When we hear the words Pit Bull most think either about the dog or the rapper, but we have a different Pit Bull in mind. We are talking about the Pit Bull can crusher that can efficiently and quickly crush aluminum cans without any effort. 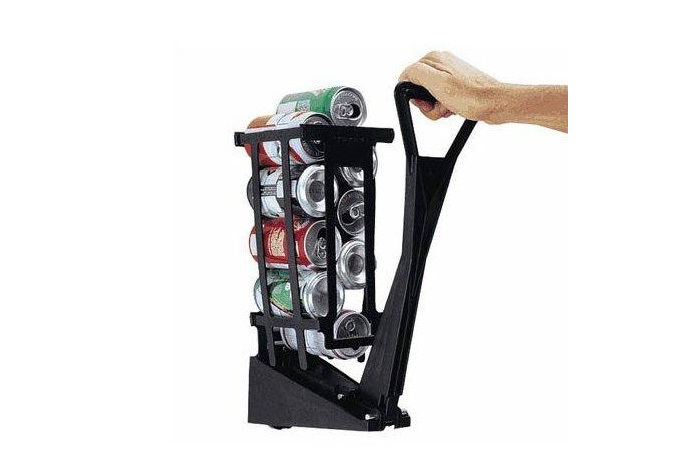 This can crusher although doesn’t feature extras like automatic dispensing or a bin where to collect all the crushed cans and also cannot hold more than one can at a time, still is amazing at crushing cans that are up to 12 ounces in size. The steel frame of the crusher is not only sturdy but very durable too and the coating that is applied to this crusher in manufacturing ads not only the metallic grey color that makes of better and more sophisticated design, but also adds rust resistant coat for longer lifetime of the crusher. Plus the fact that this vertical crusher is only 12.2 by 4.1 by 3.4 inches in size makes it small and will let it blend into any environment. The way you operate this device is you insert a can that is no bigger than 12 oz into the crusher and pull down the black leaver that is made with a rubber grip for more comfortable usage. Afterwards you take out the crushed can and you can repeat the process over and over again. Has a bottle opener at the bottom so can be a great addition to any party space. Similar design to crushers manufactured by other companies. 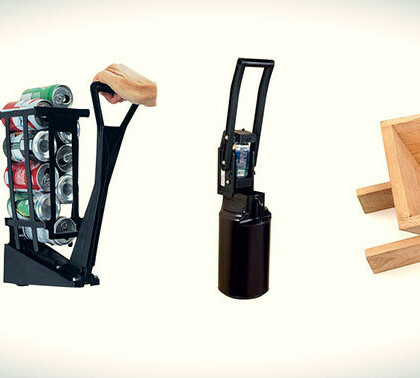 What a Can Crusher Is and How it works ? 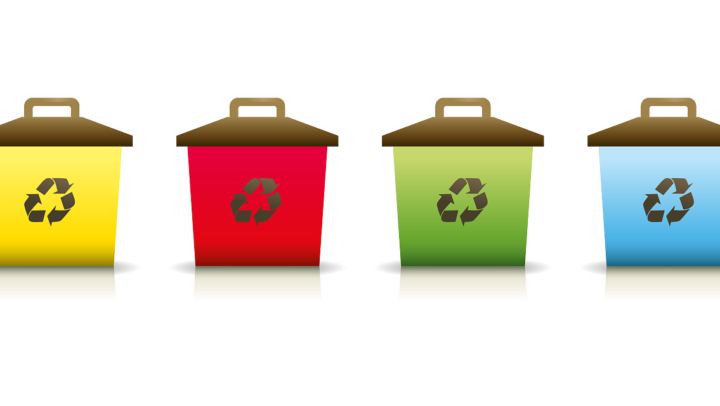 Is mold the future of rechargeable battery recycling?